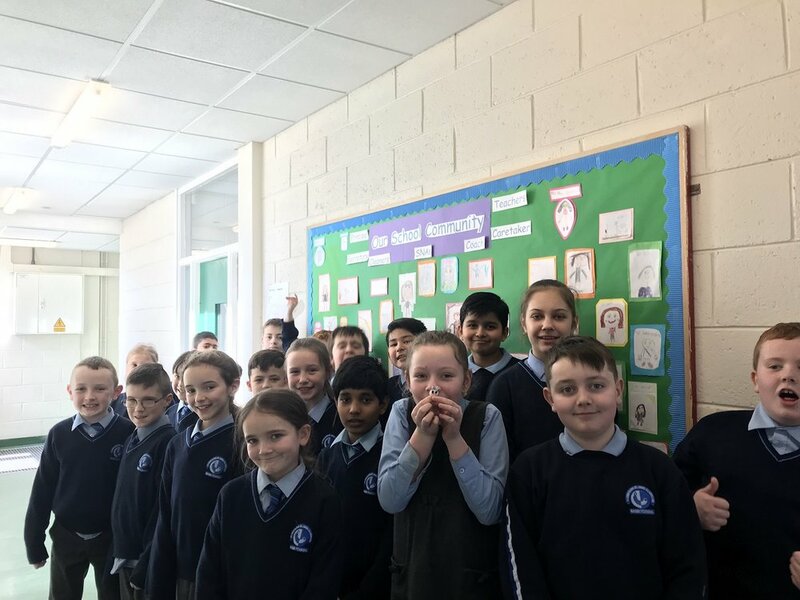 Ms Smyth’s 4th class in collaboration with Ms Thorp’s 1st class created our school community notice board which is located just outside the principal’s office. We had great fun creating our funny staff portraits especially Ms Smyth’s…!!! We are very proud of all our hard work and we hope you like them too.